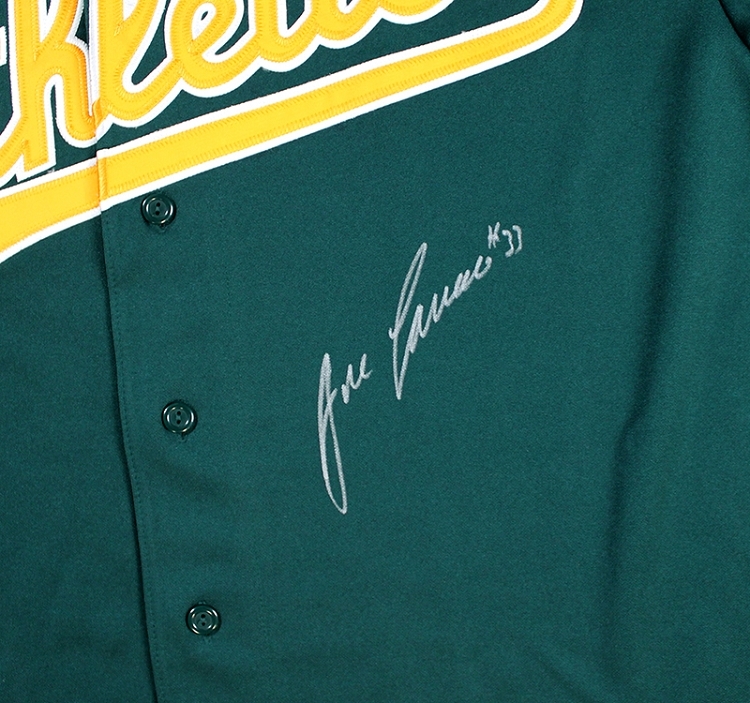 Jose Canseco made his Major League debut with the Oakland Athletics in 1985. Throughout his career, the 1986 Rookie of the Year was also the 1988 AL MVP, a 6-time All-Star, 2-time AL home run champion and a 4-time Silver Slugger Award winner. 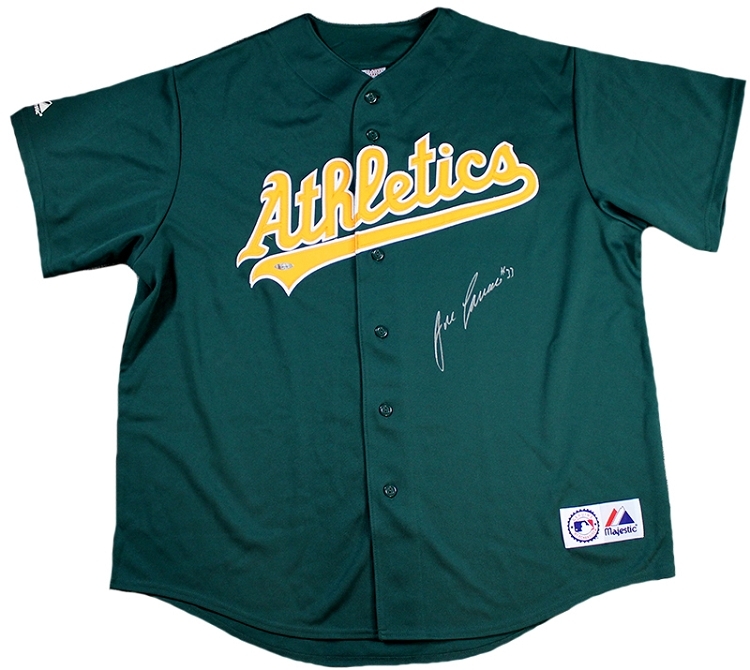 These Oakland Athletics jerseys have been hand signed by Jose Canseco. Each autograph is guaranteed authentic, and includes an individually numbered TRISTAR Authentic hologram.